The University officials have cancelled classes and events on the campus for the rest of the days. 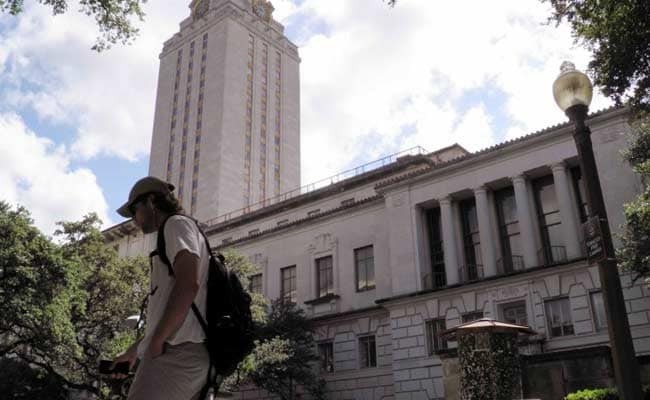 Houston: A student has been killed and three others injured after multiple people were stabbed inside the University of Texas at Austin campus in the US. The suspect, identified by campus police as 20-year-old student Kendrex J White, was apprehended for allegedly attacking four people. One of the victims died from their injuries at the scene, University of Texas (UT) police chief David Carter said. "Police got the call around 1:30 pm yesterday about a person with a knife who attacked or assaulted someone outside the Gregory gym. A UT police officer saw a man, later identified as White, with a "large, bowie-style hunting knife," Carter said. "The officer drew his gun and told White to get on the ground, which he did, and police took him into custody. Within about a block, three more people were found stabbed," he said. According to Austin-Travis County EMS, they have taken three people with potentially serious injuries to University Medical Center Brackenridge. The University officials said they have cancelled classes and events on the campus for the rest of the days. "About a dozen Austin police units swarmed responded to provide back up and support university police, which is leading the response to the stabbing, University spokeswoman said. In a separate incident, the Belo Center for New Media was briefly evacuated after a reported bomb threat. But the university police said the building was not under lockdown and is open. "There is no immediate threat at this time," they said. A sign had been draped across the building's sky bridge with the words "Tuition Pays for Bombs" before it was taken down. Last week, university police alerted the campus about a drive-by shooting near Dean Keeton and San Jacinto streets on Thursday. No one was injured, and police said neither the shooter or his target were affiliated with the university. The attack came three days after police said a former student wielding a machete and other blades attacked students at Transylvania University in Kentucky. One student was hospitalised in that attack.